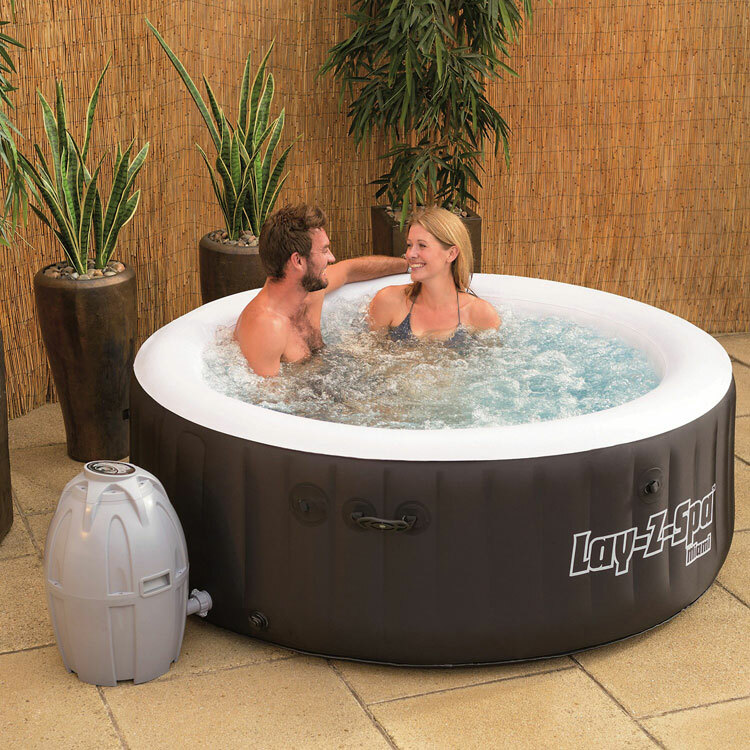 If you have got yourself an inflatable hot tub then you are about to see the range of accessories and extras you can buy to improve the experience and some you must have. 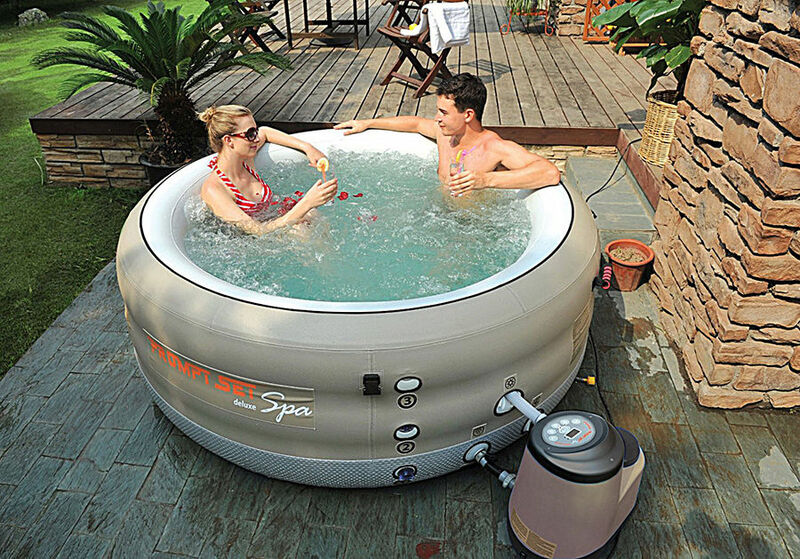 We round up the must have accessories and extras for your inflatable hot tub. 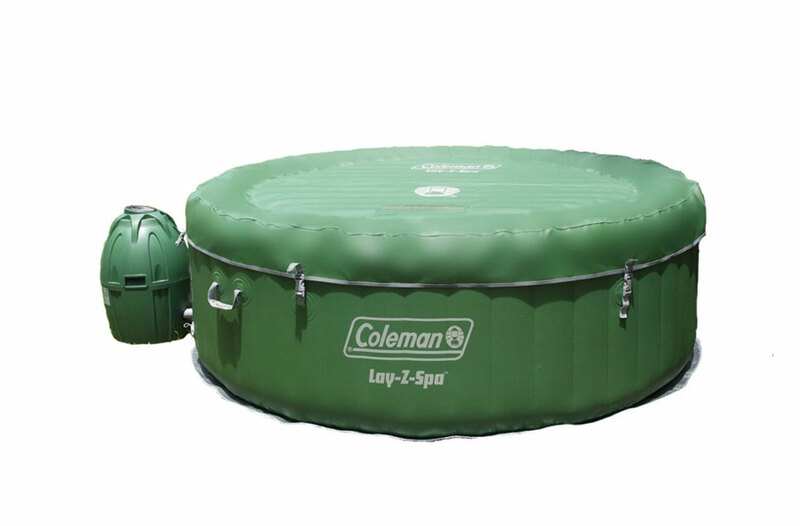 A must have are filters, these are designed to filter out any debris from the water keeping the pump safe from being damaged and preventing dirt from being pumped around the hot tub. 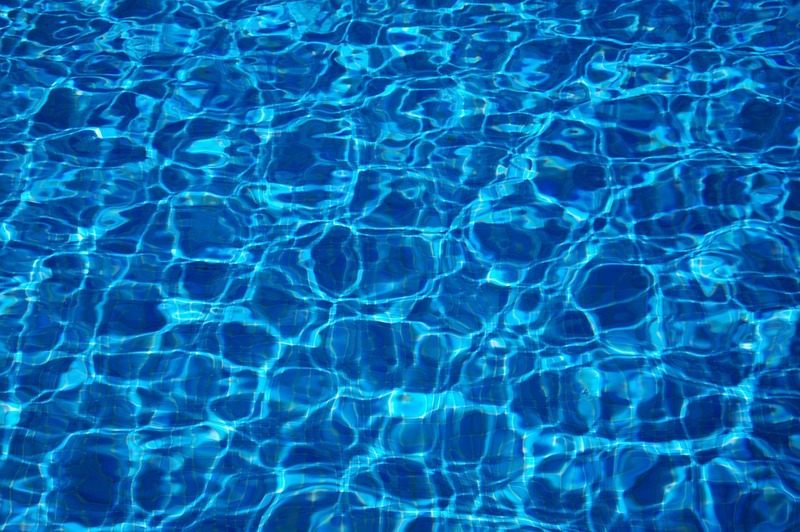 Filtering out this debris using a filter will keep your hot tub pump in good shape and help prevent any damage. 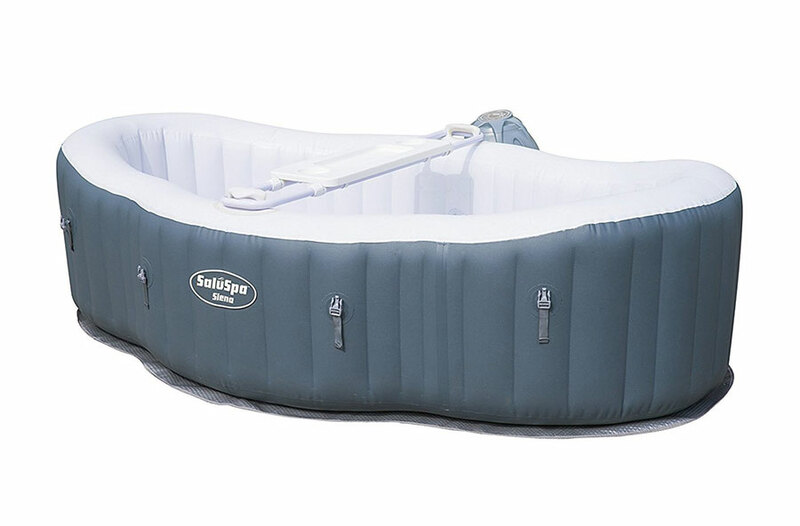 You hot tub will have come with a filter however it is important to wash these out under the tap and from time to time you should replace them for a new one. 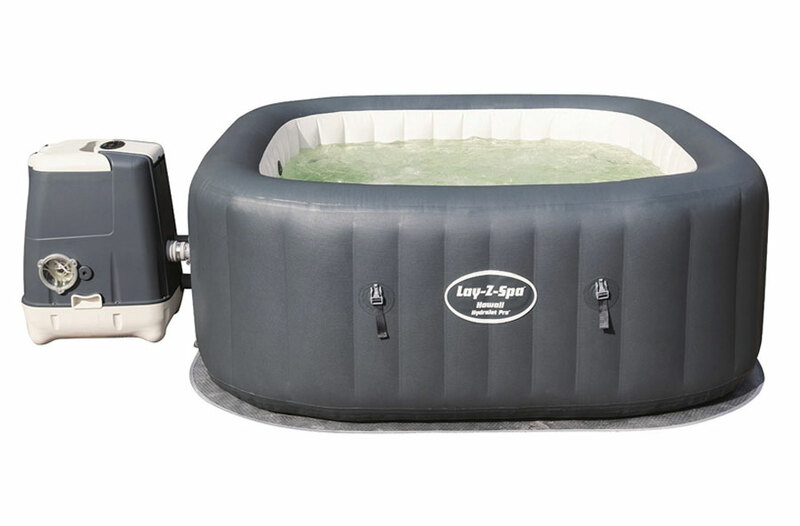 If you own a Lay-Z-Spa then you can purchase a music system that is designed to sit around your pump and hot tub controls. 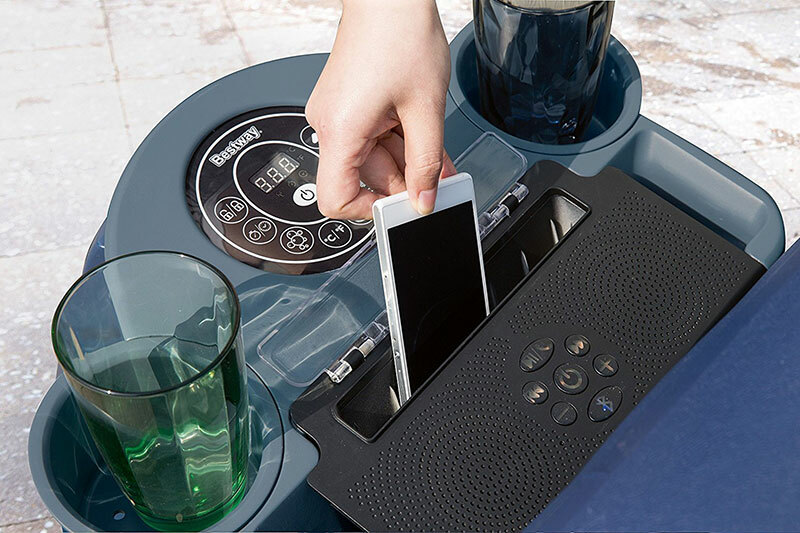 This device sits around the pump and has two cup holders, while being able to access the hot tub controls you can no also hook up your phone via Bluetooth and play music through the built in speakers, or chat to friends on the phone. The system uses a recharge battery and has water resistant buttons as well as a storage area for your phone too. 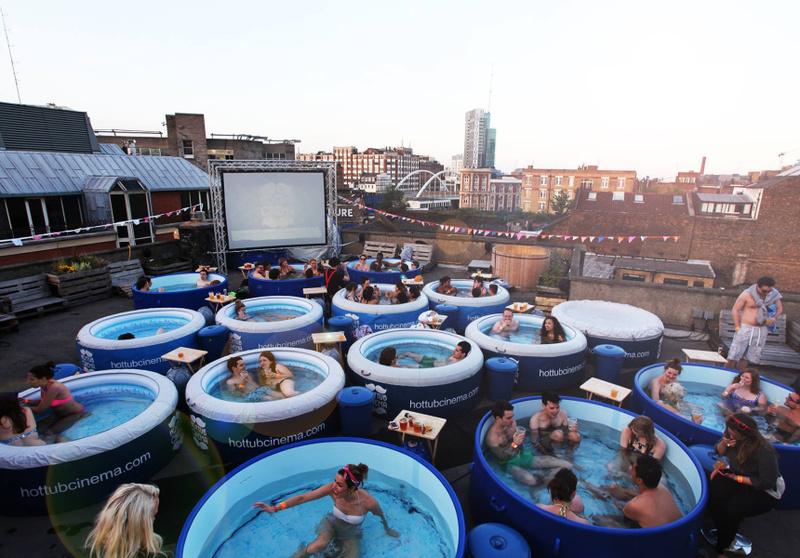 A great extra for your hot tub that will get the party started! 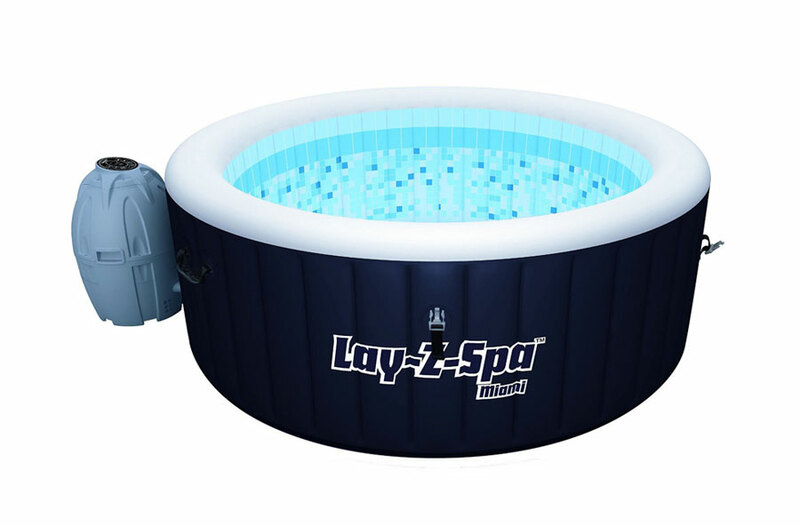 Great for using with lights on your spa and ideal for a great hot tub party! 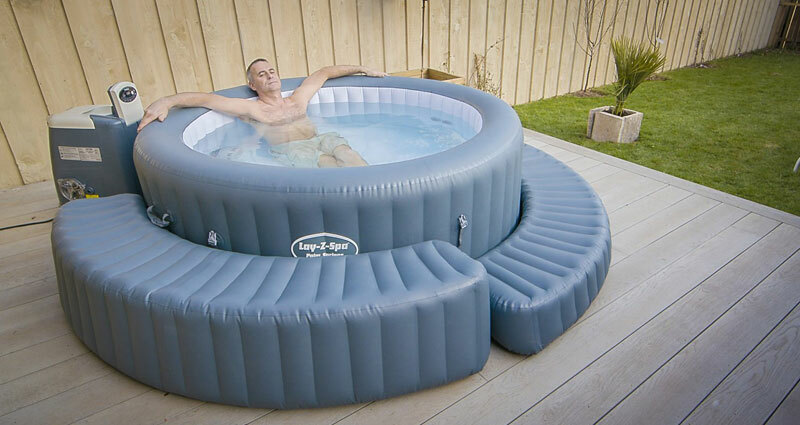 Another great extra for your Lazy spa hot tub is the inflatable surround, you can buy the step or surround, the step makes it easier to get into your spa and the surround as seating around the outside of the spa great for people to sit and relax while chatting to people in the spa. 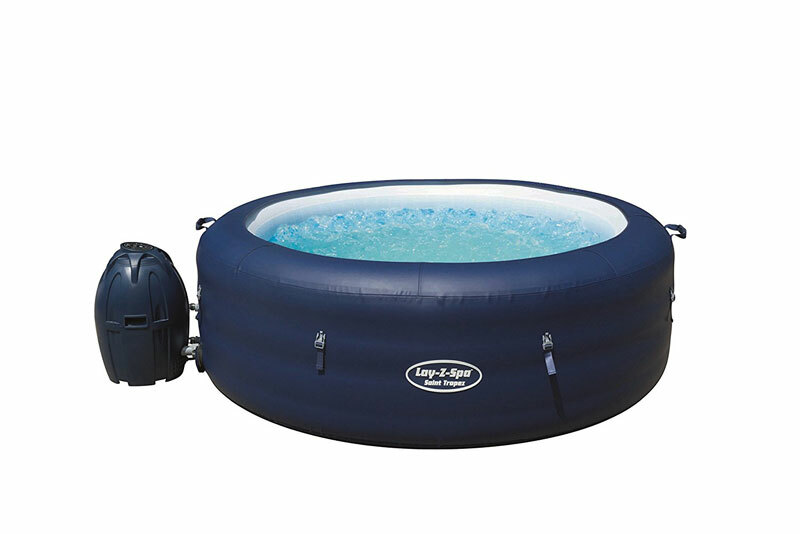 This can be used on all Lay-Z-spa hot tubs that are round and will take 3 parts to go around, so you could have 1 step surround, and then 2 seating surrounds, or just buy one and use that on its own. When in your spa you may want to relax with a drink or a little nibble, with this drinks and food holder it will make life a little easier, just clip it over the side of your hot tub and it will give you two drinks holders and a centre tray for nibbles or just a holder for sunglasses. 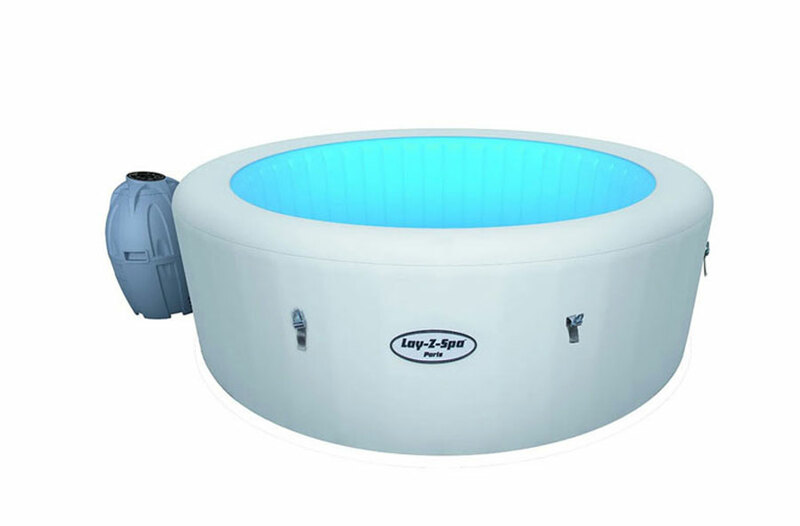 Add some colour and light to your spa with the Lay-Z-Spa Hot Tub & Pool LED Floating Light. 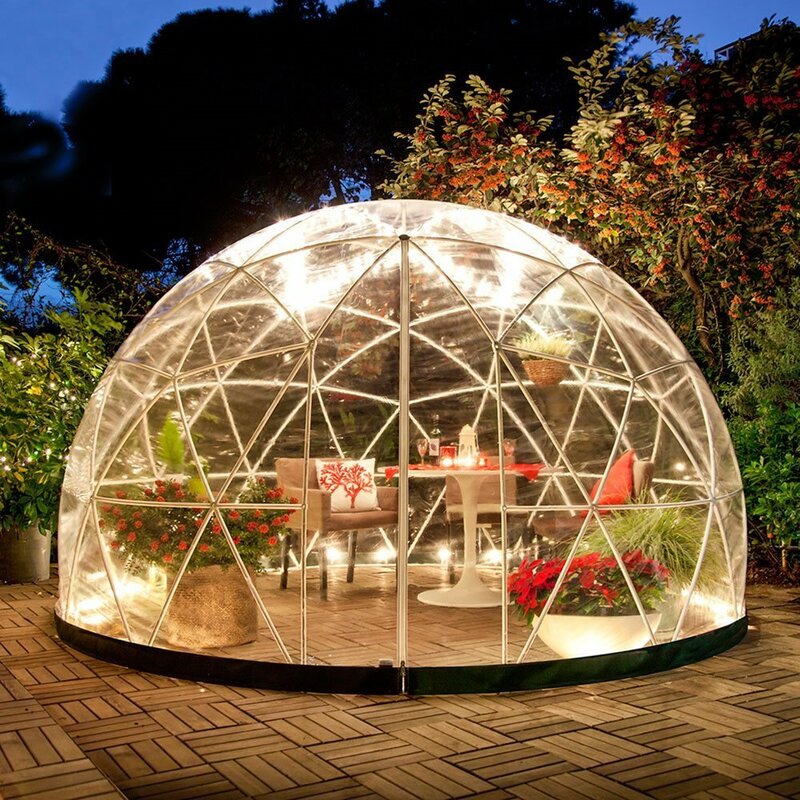 A floating lighting device that will brighten up your spa and add some mood lighting in the evening. The device is waterproof and easy to use, it has 4 bright colors that can be easily adjusted.